Many communities offer recycling pickup once or twice a year. You put your electronic material that you want to recycle in special containers, or just leave it on the curb. The city picks it up and sends it to recycle centers. Many stores offer ava recycling also. Some accept your gadgets free, some pay you, and some charge you a small fee for certain objects. 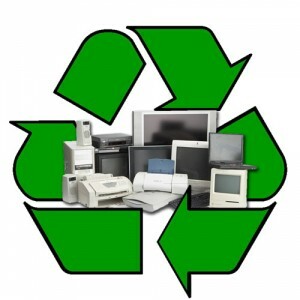 There are many companies that just do electronic recycling. They will pick up your items or you can drop them off. These companies are a simple solution to getting rid of items you don’t want anymore. Recycling electronic items makes so much of a difference. Just recycling one cell phone can save the planet years of time. If everyone pitched in their electronics then the earth’s natural resources, water and soil would last a lot longer. Dumping out all of those chemicals and all of those metals into landfills is just going to speed up the deterioration because of the poisonous effects they have. Do you plan to upgrade to a newer HP printer? Before you throw your old printer out in the trash, consider being a more eco-friendly citizen and recycle or donate it, instead. There are many different ways by which you can recycle printers. Visit the HP website to know more on how to reuse, donate or recycle HP printers.